Turns out that almost everything I cut from the first draft is still cut. 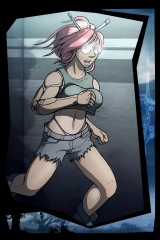 It’s also turned out that a couple of pages here and there help to smooth out some pretty jarring plot-kinks. Incoming is one of these smoothers – think of these four pages as the deleted Luke/Biggs scene(s) on Tatooine, – the movie works fine without the bit, but it leaves a hole in the latter part of the story. Incoming isn’t nearly as critical to character or story development, but man. I feel much, much better about The Dualist having added these four pages. The atmospheric backdrop was built using a modified version of the one I built for the previous page – fortunately the original files were still around, so basic assembly of the page was done in an hour or so. One of the joys of doing new pages for the second edition: all of the hard stuff – aesthetics, layout, etc – is already done. It’s always been a heck of a lot easier for me to tweak or adjust existing bits than it is to come up with something new, unfortunately. My artistic advances come in fits and starts, little squirts and idea ejaculations every few months or years. It’s not an unlimited resource I can tap on command… which is one of the reasons I’m not an “artsy” artist. 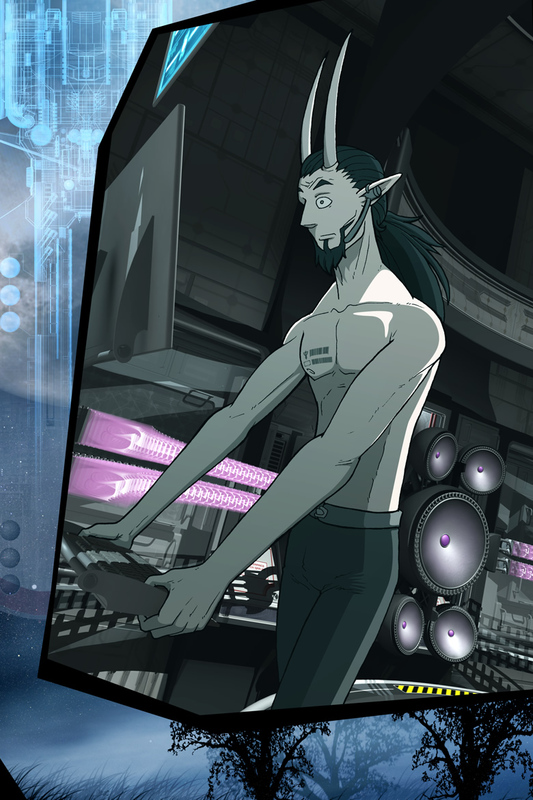 The upside of Grij being shirtless in this scene – it’s a chance to get some practice with his Rhikommi Republic (top) and Interstellar Union (bottom) service tattoos. Yeah, barcode tattoos have become kitsch cyberpunk over the years – one of the more underutilized bits, in my opinion. I like the look, dammit – and if you don’t, relax – they’ll be in two scenes and it’s going to be something like the year THREE THOUSAND before the next one saunters up on deck.